Deluxe Chair with AirGrid Back and Mesh Seat. 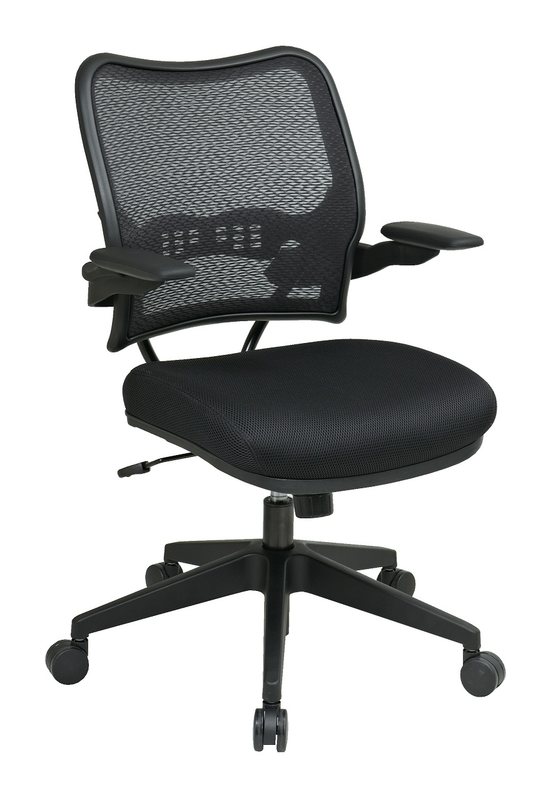 Thick Padded Mesh Seat and AirGrid Back with Adjustable Lumbar Support. One Touch Pneumatic Seat Height Adjustment. Cantilever Arms with PU Pads. Heavy Duty Angled Nylon Base with Oversized Dual Wheel Carpet Casters.